The RLA supports student research and experiential learning in a variety of ways. Graduate students may be selected for an assistantship to help with ongoing projects in the RLA or apply for a Mooney Fellowship that supports their dissertation research (see below). Undergraduate students, if eligible, may be employed as archaeological laboratory assistants through the university’s Federal Work-Study Program. Grant and contract funds are often available to support both graduate and undergraduate students, who work on the RLA’s research projects. Tim Mooney digging at the Bottle Creek site in Alabama (August 1991). This endowment was established in 1995 to commemorate the life and accomplishments of Timothy P. Mooney, a graduate student at UNC, whose life was tragically cut short before he could complete his dissertation. 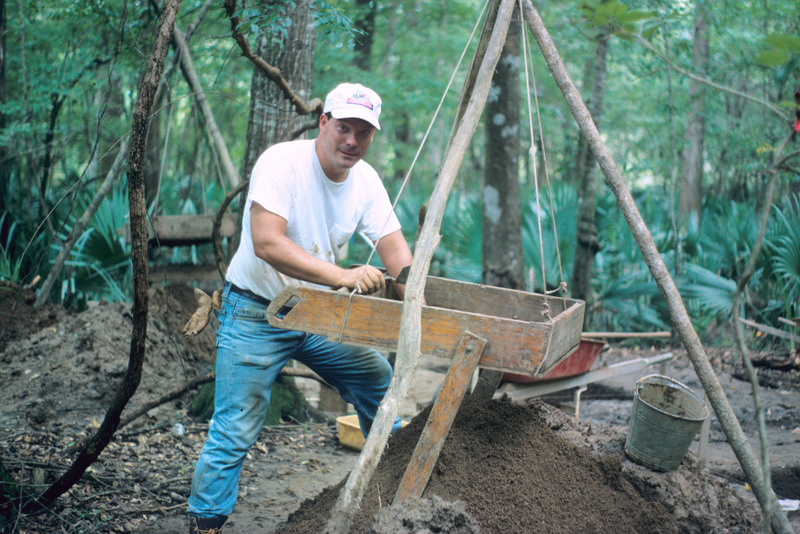 To help further the scholarly ideals and aspirations that Tim so well exemplified, the income from this fund supports graduate student research in archaeology at UNC Chapel Hill.